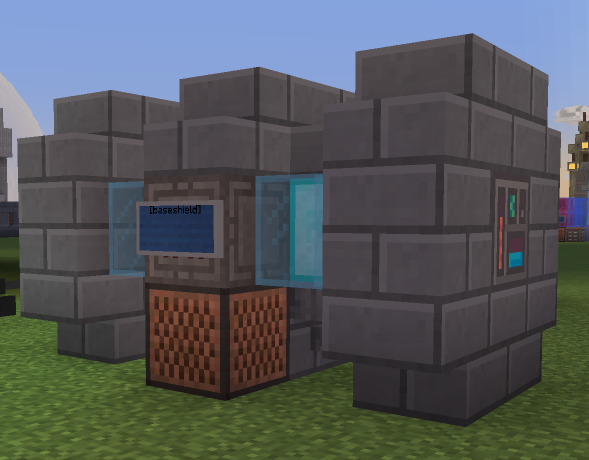 Base shields are machines that project a spherical shield to protect bases. While active, they generate a sphere of stained glass that regenerates when destroyed. They use up a small amount of power when activated, using more power when regenerating. With concentrated heavy repeated fire, it is possible to penetrate a base shield. However this is generally difficult and requires heavy firepower. 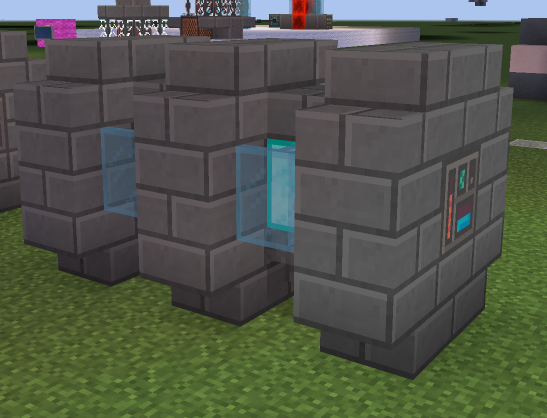 Multiple layers of base shields can help against this. 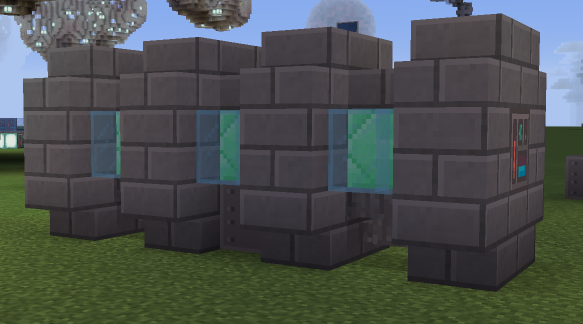 Place prismarine crystals in both slots of the furnace. 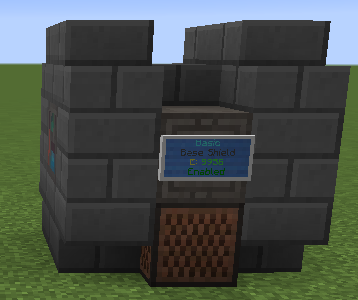 Ensure that the shield sign is charged and has power(recieves power through noteblock). Right click the sign to set it to "enabled." 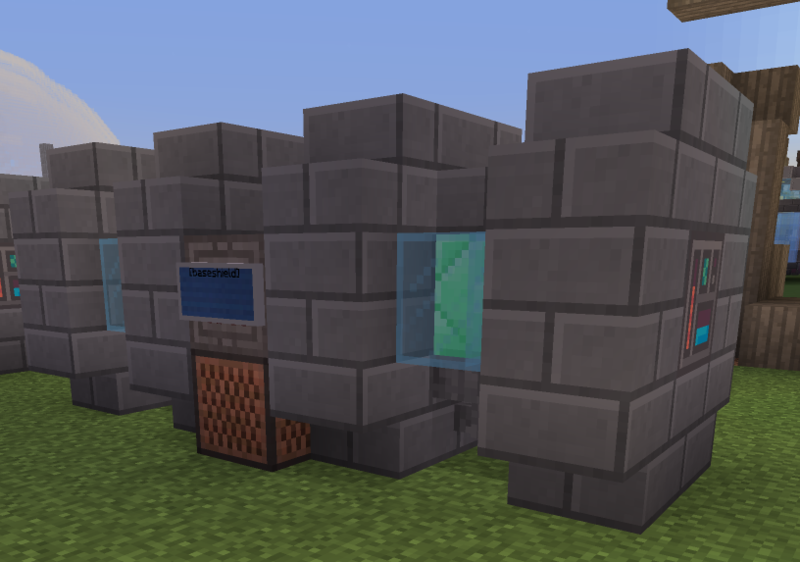 This should generate a large bubble of stained glass. 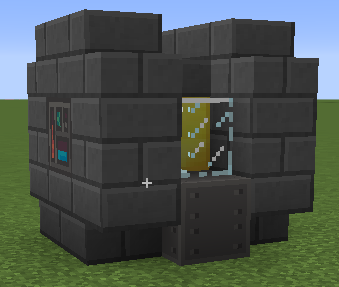 When the power runs out, or disabled with another right click, the glass will disappear shortly. The sign for the base shields is [baseshield].